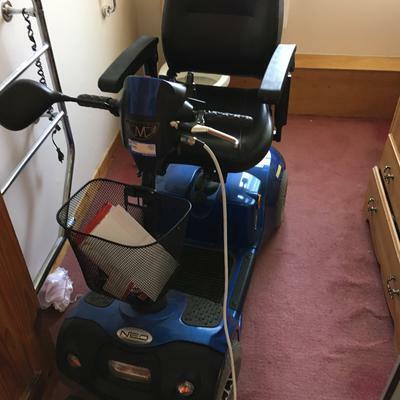 The gently used, four wheeled, mobility scooter for sale is an electric blue Mercury Neo Model 6 that is in "like new condition" but will need new batteries. It has rear wheel drive with electromagnetic brakes. 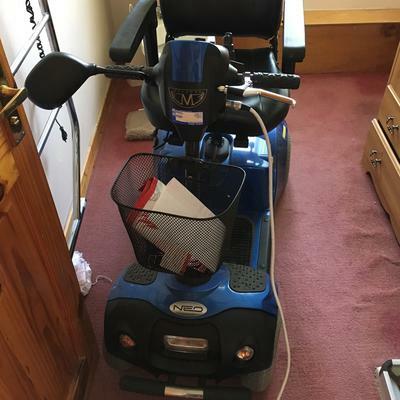 The maximum speed is listed as 6 MPH with a cruising range of approximately 20 miles. The maximum user weight 135 Kg, 300 lbs. My asking price as is £600 or we will replace battery and sell for $850. Let me know which approach appeals to you via the comments form below provided by GoGoCycles Used Motorcycles for Sale.